Adriatic festival Soundwave is celebrating its tenth and final instalment this year with yet another diverse edition of reputable island partying, rounding of its 2018 line-up with the likes of Josey Rebelle, Loyle Carner, Calibre and Mr Scruff. With a whole host of festival debuts lined-up for the ‘The Final Wave’ edition, it’s set to be a bittersweet affair as Soundwave concludes ten years of Croatian partying, marking the end of its long-running era with a selector filled send-off this summer. Other already confirmed acts include Submotion Orchestra, Romare, Horse Meat Disco, Channel One Sound System, DJ Marky, Jordan Rakei and more. Soundwave Festival 2018 takes place July 26-30 at The Garden Resort, Croatia. 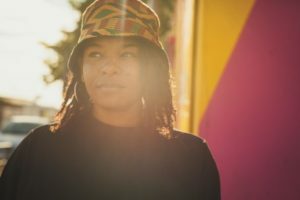 For more details and ticket information take a look here, and read our artist profile on Josey Rebelle here to get a taste of what you can expect from the London selector.